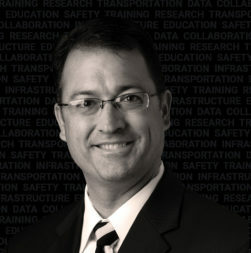 When Mark Compton joined the Pennsylvania Turnpike Commission (PTC) in February 2013, the organization was facing certain challenges. However, Compton had profound respect for an organization that had been the backbone of the ground-transportation industry in Pennsylvania for more than 70 years. He wanted to be part of the solutions to tackle problems and develop a long-range plan to help the historic agency forge a new path ahead. A collaborative leader, Compton helped the PTC focus on a strategic plan to keep the turnpike a safe, reliable, and customer-valued toll-road system. Flagger Force: How did you come to your current position with the PTC? Mark Compton: While working as PennDOT’s deputy secretary of administration, I was offered an opportunity to move over to the PA Turnpike at a time when the commission was seeking new leadership. Certainly, I thought long and hard about what I could offer the PTC. Ultimately, I believed I could make a difference. Though I enjoyed what I was doing at PennDOT, I have to say I could not be more pleased with my decision to transition to the PTC team. I enjoy collaborating with coworkers here every day, and each week brings a new set of challenges. Flagger Force: What positions did you hold before that? 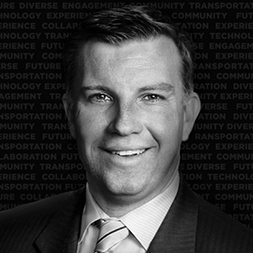 Mark Compton: I had previous experience in both public- and private-sector positions in transportation, administration, government affairs, and construction. Before coming to PennDOT, I worked for a heavy civil construction company in southeastern PA. I do think that seeing the highway business from the builder’s point of view has been helpful in my roles both at the department and at the commission. Flagger Force: What are some examples of important PTC projects you have led? Mark Compton: I want to be clear that we are a team here. Our successes have been achieved as a team. When we are confronted with challenges, we work together to address them. And I must say that, in the last five years, I have seen our team accomplish amazing things. The project I am most proud of is one in which we reduced employee injury by 30 percent with an initiative known as “Think Safe. Work Safe. 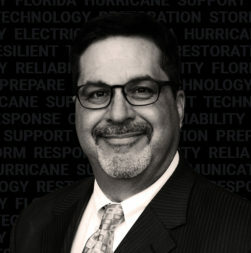 Be Safe.” Nearly two-thirds of our employees work in a field location such as a maintenance facility, a toll plaza, or a construction site where they are exposed to live traffic, extreme weather, heavy equipment, and other hazards. This campaign succeeded because we instituted a challenge with rewards for work locations with the fewest injuries. The focus is to keep safety not in the back of our minds, but as our chief motivation. The goal simply is to get our employees home safely at the end of the day. Flagger Force: What is the PTC doing to curtail distracted driving? Mark Compton: Our social media and educational campaigns around speeding and distracted driving have been successful. Our channels are filled with messages on what distracted driving is, tips to prevent it, and statistics surrounding the issue. Through our “Go Orange” campaign, we focused marking and outreach efforts on keeping employees and customers safe. We have touched thousand of individuals, both internally and externally, who have pledged to travel safely through work zones. Our simple plea is, “slow down, phone down,” when driving in a work area. One of the key innovations we have is our partnership with the crowdsourced smartphone app known as Waze. This collaboration allows us to provide work zone locations, among other things, which alerts drivers using the Waze navigation app that they are approaching a work zone. It increases driver awareness, and we encourage customers to download it. Flagger Force: How did the PTC relationship with Waze come about, and what are its benefits? Mark Compton: Our Waze partnership emerged from the PTC Innovation Council, a panel created in 2014 to foster rapid implementation of innovations. With this partnership, the PTC’s Traffic Operations Center (TOC) shares real-time data with Waze on accidents, backlogs, and road work. In return, our TOC receives a 24/7 live feed of crowdsourced data Waze gather from its users—called “Wazers.” This gives us immediate access to problems Wazers report, including accidents, stopped vehicles, congestion—even potholes. It has been an outstanding relationship. We are now working with Waze to indicate E-ZPass-Only lanes and interchanges, provide directions on construction patterns, and expand the use of the quick notification system. Flagger Force: What are other PTC initiatives focusing on work zone safety? Mark Compton: We pride ourselves—in collaboration with the Pennsylvania Department of Transportation and with the use of the Manual on Uniform Traffic Control Devices—on creating uniform work zone standards. Consistency is critical when it comes to work zone patterns, no matter what part of our 552-mile system you happen to be driving along. This allows drivers to recognize that they’re approaching a work zone and to know what to expect, no matter where they are. A key to ensuring this consistency is utilizing safety monitors who ensure compliance to standards and confirm patterns are properly set up. The PTC has also been supportive of PA Senate Bill 172, to install cameras to catch work zone speeders. Flagger Force: What are some other plans for the turnpike when it comes improving customer experience? Mark Compton: Smartphones are the most valuable technology we can use to create positive experiences for customers who use our roadways. We are excited to start working on a project that will allow customers to pay for tolls via a mobile application. Currently, we are piloting cashless tolling, such as pay-by-license-plate, in specific regions and continuing our E-ZPass program. Cash is not carried as much as it used to be, so providing payment options can be beneficial for customers. In addition, we are looking to take our own smartphone app, called TRIPTalk, and merge it with a similar smartphone app, 511PA, being used by PennDOT. Flagger Force: Keeping the public notified is crucial for the PTC. Which are your most valuable channels? Mark Compton: Our longest-running form of communication to our customers is traditional media—television and radio. We also continue to have our AM-frequency radio available; however, customers are hungry for real-time information. Twitter has been a large platform for us to announce incidents or weather alerts that could affect the traffic. In a recent survey, drivers told us that one of their favorite communications tools is the electronic signboards that dot our system; today, we are installing additional dynamic message signs because of that feedback. In January 2016, we experienced a major accident during Winter Storm Jonas that caused traffic to be backed up for miles. We did not have a way to communicate to hundreds of stranded travelers. So, we worked with PennDOT and the PA Emergency Management Agency to develop a solution known as 511PAConnect that provides stranded motorists information during long-term stoppages. When we identify a queue, a push message, like an Amber Alert, is sent to mobile phones in the area. The message provides instructions to receive updates and safety information. It allows us to get critical information about the scope of the incident and needs of stranded travelers. Since launching in 2016, 511PAConnect has assisted thousands of travelers and has been recognized with regional and international awards. Flagger Force: How else does the PTC engage with such a large community base? Mark Compton: We were excited to start a Turnpike 101 series in 2017. This series opens our doors to our neighbors to explore various sectors within our organization. We recruit 20 community leaders to attend a four to six-hour session once a week for four weeks. Our first event allowed attendees to tour a tunnel, service plaza, maintenance shed, and toll plaza. Social media continues to be our largest form of engagement as well. We post safety messages and images of our history to engage audiences. Flagger Force: When looking at partnerships with vendors, what qualities does the PTC look for? Mark Compton: Safe execution of projects requires unparalleled communication and planning. We rely on our vendors, contractors, and other business partners to not only follow our standards for safety, but to provide us additional insight on better ways to get the job done. We want it to be a two-way relationship, and I am proud that we listen to and learn from our partners every day. Quality work and quality products are equally important—we need to deliver value to our customers after all. We look for organizations and groups who can bring something new to the table when collaborating. Diversity is important.